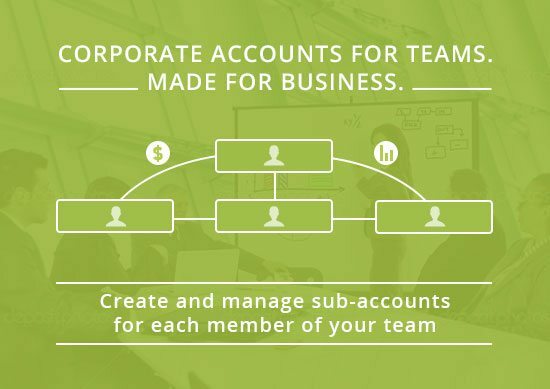 Built for businesses, Corporate Accounts for teams gives you a simple tools for creating sub-accounts; managing their balance and access; and better ways to work together. Administrator gets full control on team access and allocation of credits and downloads between sub-accounts. Get all these benefits — plus optimize your license management and procurement budget with our brand new features. Easily add, administer sub-accounts or block their access with just a few clicks. For your team member a sub-account doesn’t differ from a regular Depositphotos account, while you have full control on it. 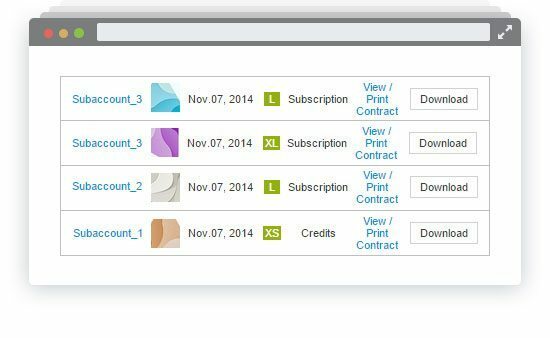 Allocate credits or downloads from your administrative account to any member of your team. Take them back at any moment or reassign to another user depending on the need. Set the auto-refill if you want. Having received your allocation sub-account can browse and download files just as a regular user. Monitor your team actions and downloads. Track expenditures using powerful statistics features and define better plan options. Get immediate access to files downloaded by any of your sub-accounts. All your team’s content are in one place now, view or re-download files – all licenses are issued for your administrative account.